When the Amiga was first introduced in 1985 it was far ahead of it's time with features such as multiple resolution high-color graphics, stereo sound, and pre-emptive multitasking that made it a great machine for multimedia applications and gaming. 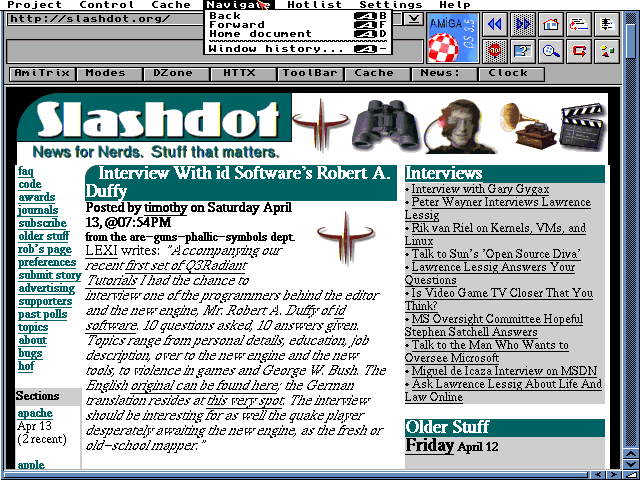 These screen shots were taken with WinUAE, an Amiga emulator for the PC running AmigaOS 3.5. They don't really do the Amiga justice as the Amiga was much more than just a Mac-like GUI. 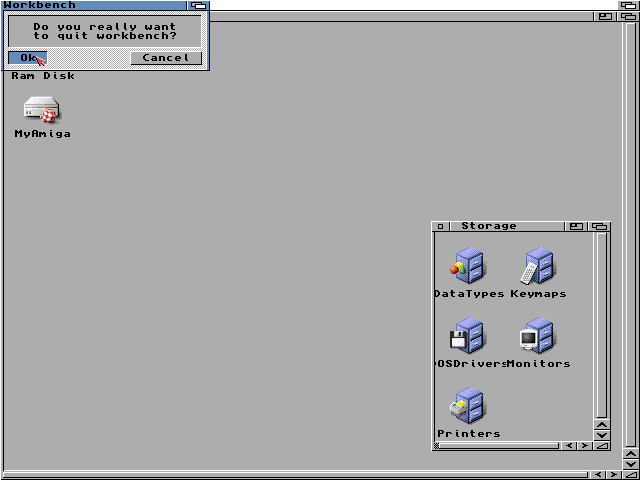 This is the Amiga desktop - called Workbench. Disk drive icons appear on the desktop and folders open in new windows. 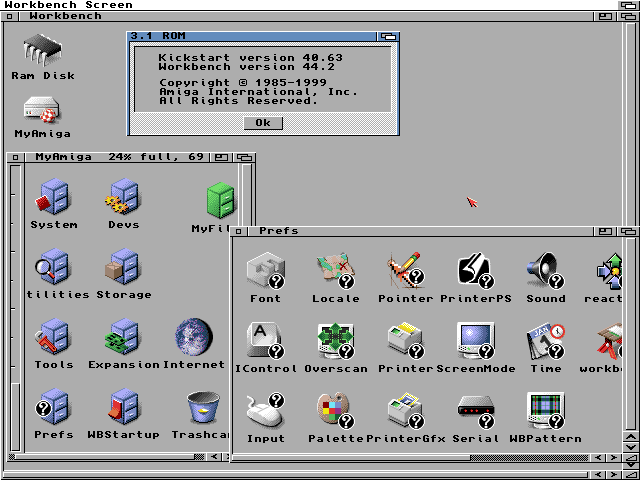 The menus are like MacOS, always at the top of the screen and the contents depends on which program is in the foreground. This screen shot shows a few of the accessories, a note pad, calculator, clock, and icon editor. 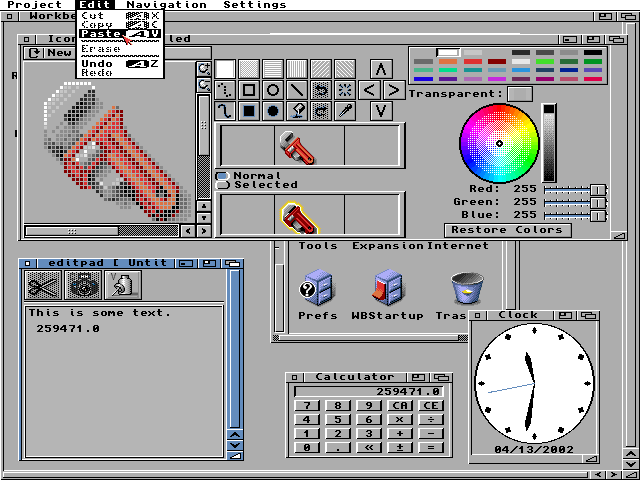 The AmigaOS UI is very customizable. 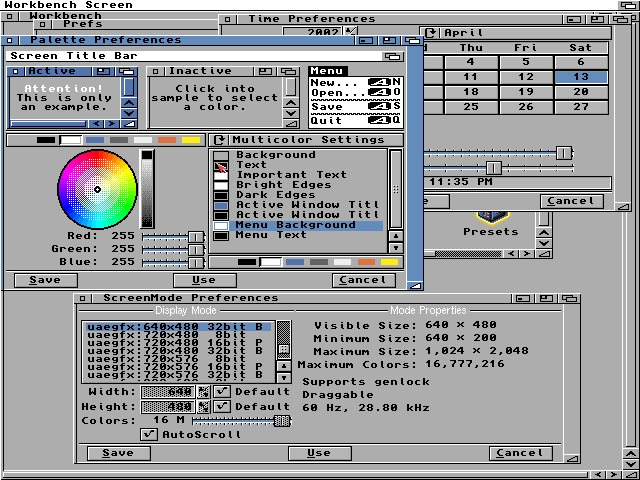 The various preference windows shown here show many of the common controls used AmgaOS. 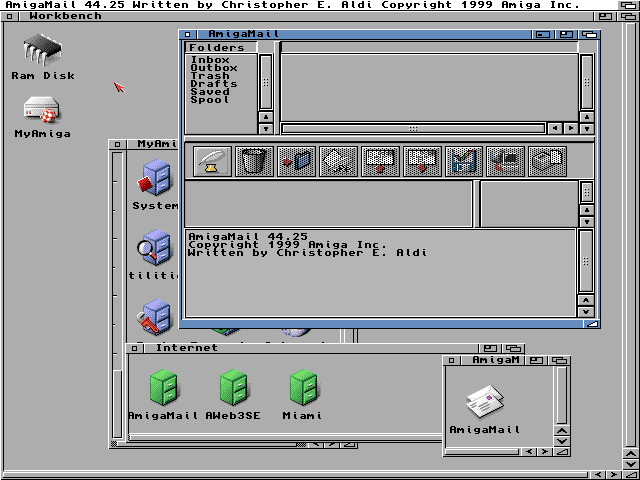 Amiga OS 3.5 includes an html v3 capable web browser called AwebII. It has the very advanced feature of being optional - a feature so advanced that Microsoft has as of yet been unable to completely replicate it. AmigaOS also includes a simple e-mail client program. It includes a command line interpreter for more advanced operations.